The Financial Industry is primed for a dramatic transformation, fuelled by technology advances in the fields of Artificial Intelligence (AI) and Machine Learning (ML). The immense growth of available information continues the need to remain competitive. Bankers today recognize that AI driven insights will have a tremendous impact when it comes to anticipating market events to stay ahead of the competition. According to a recent report, ‘Enhanced Bankers: The Impact of AI‘, by capital market research firm TABB Group, 83% of survey respondents strongly believe that spotting an event with an AI engine leads to engaging with a client and closing a deal. 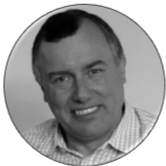 Stuart’s critical mind and domain expertise around data, analytics and intelligence has been shaped by a 30-year career as a senior corporate executive and consultant, giving strategic and analytical advice to clients in over 20 countries. Until 2002 he held the position of Vice-President at Telefonica O2, and prior to this General Manager at BT. His consultancy client portfolio includes the BBC, Gigaclear, Nominet, Mi-Pay, BlackBerry, Oxfam, Esprit Capital, Elliott Advisers, Albion Ventures and the London Olympics in 2012. With an MPhil in Statistics from Yale University, where he was the Mellon Fellow, an MA in Mathematics from Cambridge University, and an MBA, Stuart skillfully navigates both business and data challenges. Krishna has been with Salesforce.com for two years driving customer engagement solutions in the commercial, investment banking, and capital markets space using Salesforces’ world-class customer engagement platform, AI, Analytics and partner applications. Before joining Salesforce.com, Krishna spent several years designing and developing solutions for large banks and insurance companies. Krishna lives in Houston, TX and travels around the country evangelizing Salesforce’s solutions for institutional banking. His responsibilities include setting the long-term vision and strategy, as well as managing the design and concept of Squirro’s products and solutions. A data insight expert, with six years’ experience at companies such as IBM and Performance Bridge, Alex also manages Squirro’s product positioning and go to market strategies, helping to reach the company’s overall goal of becoming the world’s leading data insights company. Nicholas has spent over 20 years helping his clients derive greater value from their data assets, with software and services ranging from the early days of Business Intelligence, through Master Data Management to AI Cognitive Insights.